Act today and inform your customers on non-lead alternatives! Traditionally wheel balancing weights were made from high density lead because of its low price and ease of manufacturing. 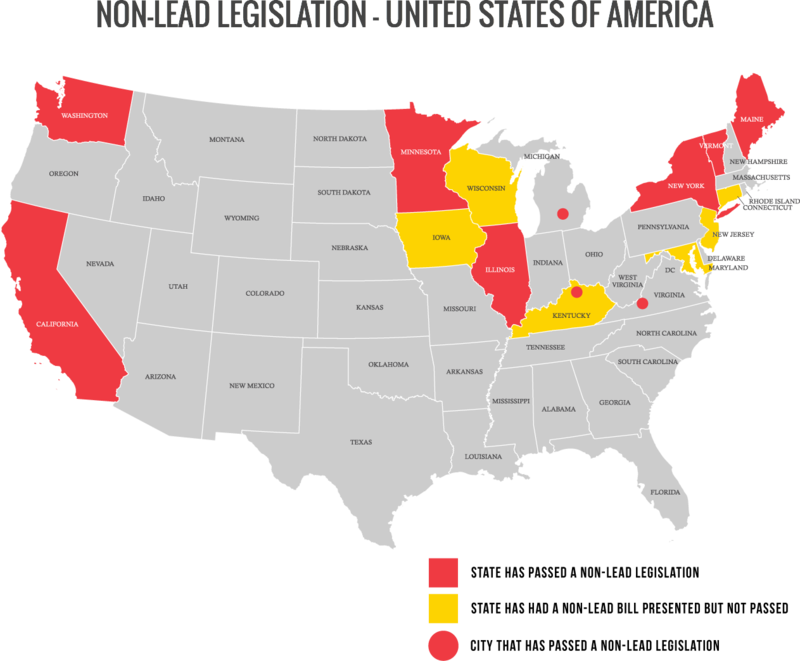 However, for environmental and public health reasons the use of lead is being banned in many states and jurisdictions. Europe (EEC) banned the use of lead in wheel balancing weights in 2005 and the Japanese car manufacturers have stopped using it for nearly a decade. Today nearly all cars sold in North America arrive from the factory with lead free wheel weights installed. In May of 2014, Minnesota became the seventh state to ban the use of lead based wheel weights joining California, Maine, Vermont, Illinois, New York and Washington State. The new law includes a ban on the installation, sale and distribution of lead wheel weights, while requiring proper recycling of all lead weights that are removed from vehicles. According to California EPA, steel wheel weights are the best overall alternative to lead since steel has lower environmental and human health impacts and propensity to be made from recycled material (click here). Plombco as a charter member of the EPA sponsored National Lead-Free Wheel Weights Initiative has committed to substantially reduce the amount of lead used in the production of wheel weights. For this reason Plombco recommends the use of lead-free wheel weights. Steel and zinc are offered as alternatives to lead. Although steel is the preferred alternative, zinc is also offered for those who prefer the «traditional style» of wheel weights and for some speciality products. Take note that Zinc is ranked 74 in CERCLA Priority List of Hazardous Substances (after other substances like Nickel #53 and Methane #66). In addition, important issues, such as the increased popularity of clad wheels on new vehicles, demonstrated that there is a need for a better alternative than steel or zinc. Plombco has developed Plasteel®; a steel core wheel weight encased in a plastic shell. No other manufacturer offers this patented product. As the industry continues to move away from lead wheel weights, Plombco continues to create innovated energy-efficient processes that incorporate environmentally friendly materials to create safer wheel weight products.